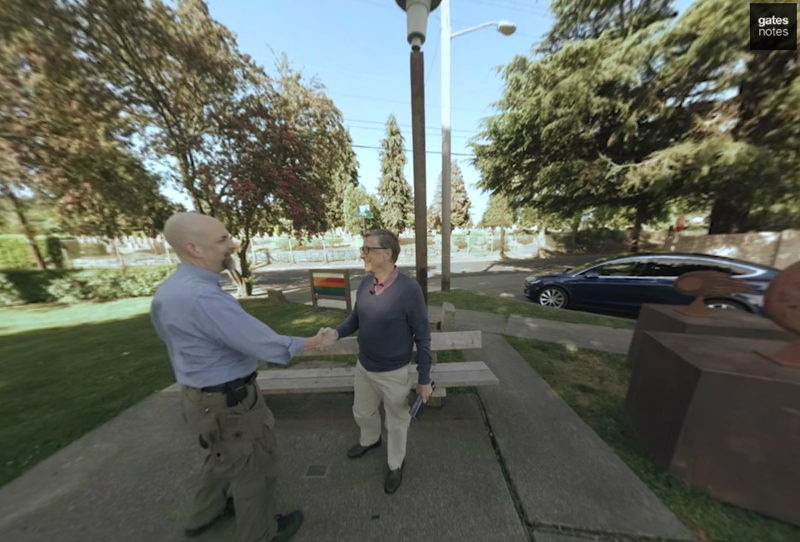 Microsoft co-founder Bill Gates loves books. In fact he just posted is five book recommendations to read this summer. 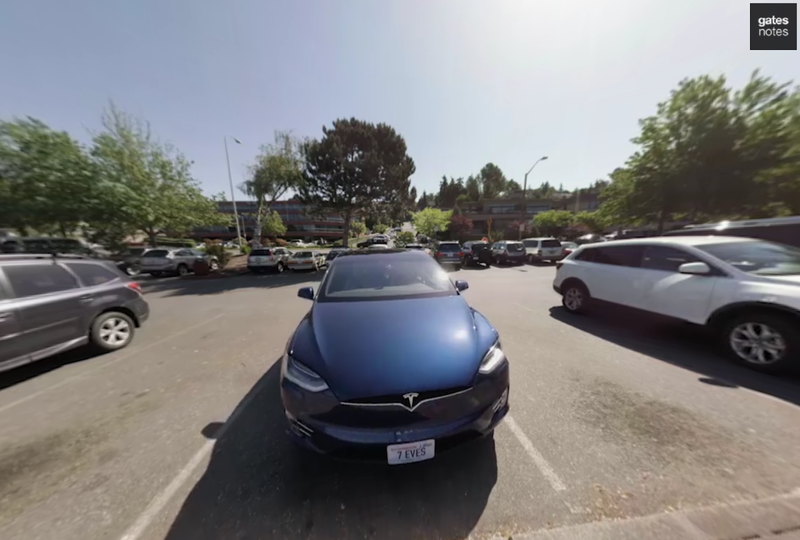 While conducting an interview with Neal Stephenson, renown sci-fi writer and author to the blockbuster novel Seveneves, Gates ended up driving a Stephenson's deep blue Model X in Seattle and discussing his novel. 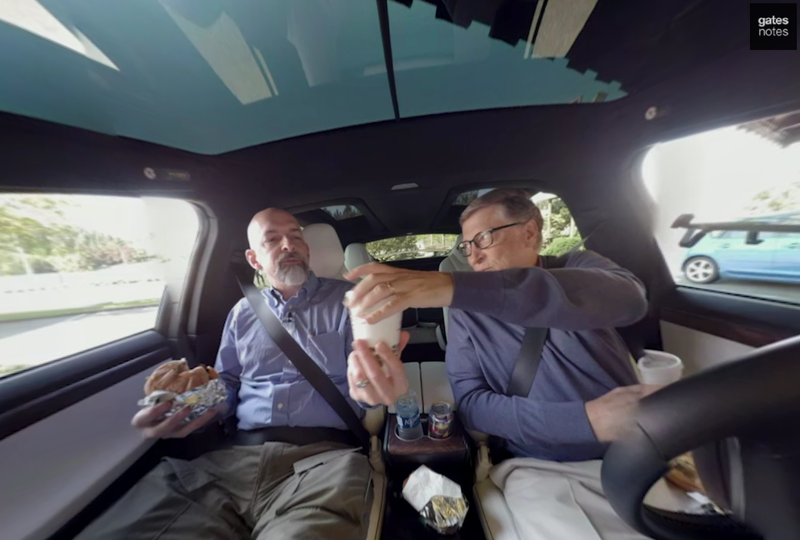 Gates' smile on his face is clearly apparent when he gets into Neal's SUV with license plate 7 EVES, they even drive to Bill's favorite Burgermaster in Bellevue for some burgers on the go while discussing Neal's work. Stephenson’s Seveneves is a story about the destruction to Earth and humanity following the explosion of the moon. The world unites on a plan to get as many spacecrafts as possible into orbit, where a few select people can ride out this Hard Rain and keep humanity going. Something Elon Musk would even relate to. 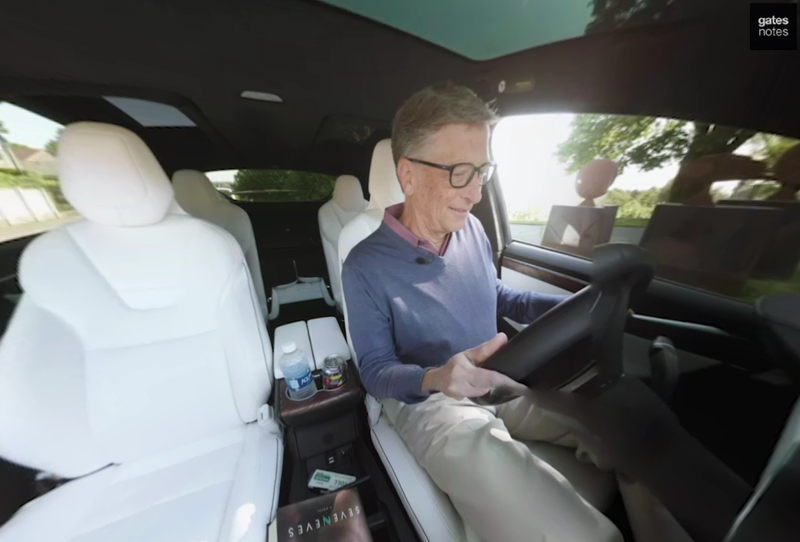 In his latest GatesNotes titled The Day the Moon Blew up on his website, Gates admits he hasn't read a sci-fi book for over a decade but "Seveneves inspired me to rekindle my sci-fi habit". 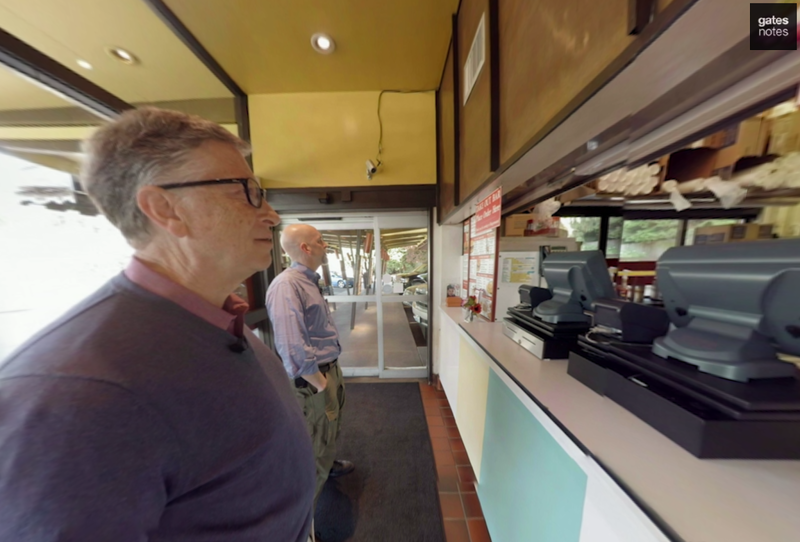 You can watch the full interview on Bill Gates website in VR mode.